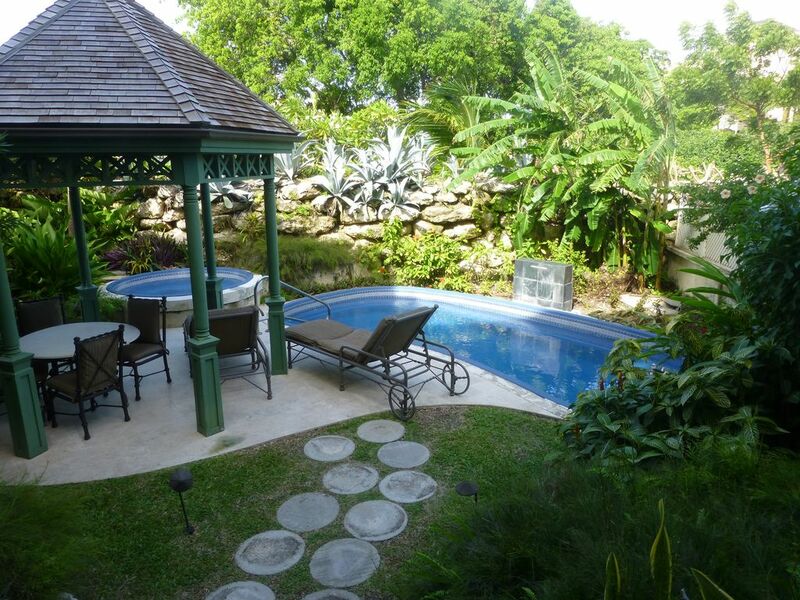 Superb and spacious luxury 2 bedroom garden suite on the Crane Resort. The Crane Resort is based around the oldest hotel in the Caribbean, and the Crane beach which has to be one of the best beaches in the World - stunning, romantic and fun for family and couples alike. White sands, beautiful water and rolling waves. The resort has a beach top location, with a lift/steps leading down to the Crane Beach. The resort has six pools, including adult only iconic pool and a large cliff top jacuzzi with spectacular views out onto the Atlantic. The apartments are self catering and come with fully equipped kitchens but the resort has four restaurants (Japanese/fusion, Italian, International and a pool side Carriage Bar, plus a regular bar). In addition the resort has a Spa, gym, tennis courts, a grocery, coffee shop and souvenir shop. The resort is 15 minutes drive from the airport, and taxi connections can be booked from the resort, or pick up a taxi on arrival at the airport for USD30-40. This deluxe ground floor suite is made up of one king bed master bedroom, and a second bedroom with twin bed, living room with double sofa bed, dining table/chairs. Full kitchen (hob, over, US style fridge/freezer), washing machine/dryer. Master bathroom with shower and jacuzzi bath. Second bathroom with shower/WC. Large outside patio (two wicker chairs), leading down to garden with 23 foot pool, separate small plunge pool. Gazebo with dining table and four chairs and two loungers by pool. AC charged at USD1 per day. I am London based professional, married with three teenage kids. We were looking for a home away from home but for it still to be an awesome vacation experience. We found all this and more at The Crane. The Crane beach is to die for - just a fantastic location, white sands and great surf. We like apartment living but also access to all the amenities on site at the Crane Resort. You can cook for yourself or dine at the resort restaurants. We loved the place so much we bought three apartments for the Xmas and New Year periods. The apartment itself is spacious, and the view into the garden from the master bedroom and living room is simply beautiful. Lush and green, but also secluded. Having your own pool is great, but you can also access the six large pools on the Crane resort. Twin beds, bedside table with lamp. Desk. Built in wardrope. Ceiling fan. Air conditioning unit. We enjoyed our stay at this property, it was just as described and pictured. Our only issue was the mosquitoes, even though the beds were covered with mosquito netting we still had numerous bites come morning, we could have closed the windows but we preferred to enjoy the warm tropical breeze. That being said we enjoyed the resort and found the accommodations clean and well maintained.